Each poker site has its own strengths and weaknesses. And because some poker rooms will fit better than others, the crunch part then becomes deciding which ones are the best fit for you and your money.There are a whole lot of factors that come into play. The best online poker sites are those that suit your specific needs the best and these preferences come in a wide variety of forms. 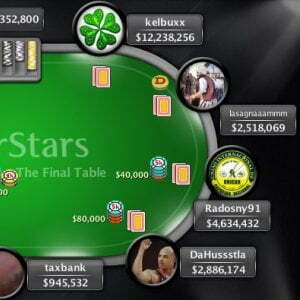 Depending on your specific needs, those reviewed below will capture the breadth of the best poker sites to play in. The most popular poker variant is undoubtedly the online and live version of Texas Hold’em. It’s quite likely that this game constitutes 75% of all the games being played running online at any given moment, whether No- Limit or Limit variations.If this is your game, then you can be sure that the best poker sites will have a wide array of games to choose from. Big poker sites have an exceptional selection of games and tournaments practically every minute, with thousands of players ready to wager for the biggest prize pools.Additionally, such sites often have a large number professional players, huge fields for most of their tournaments as well as a long line of players waiting to be served by customer support. Poker is more a passion than a profession with the small poker sites and the variety of games can therefore be more limited with equally smaller prize pools.However, you’ll likely find groups of novice players as well as a lot of entry-level fish who are apt to lose a few bucks. You’ll often find action at the best poker sites but you’ll also many professional and full-time grinders ready to separate your bankroll from you should you play at the wrong table.On the flip side, many lesser known and low-traffic poker sites will be filled with sloppy drifters – the perfect opponents to make some money out of.